Monique DeCicco-Jones’ phone buzzed in early February with an urgent alert from St. Peter’s Regional Catholic School. “Please check your child’s book bag for a very important message from the Archdiocese,” said an automated voice. The alerts were usually used for for weather delays or closings. DeCicco-Jones tore the envelope open and unfolded the letter. It said that St. Peter’s Regional Catholic School was slated to be closed by the church administration, the Archdiocese of New York, at the end of the 2016–17 school year. “Oh my God. St. Peter’s is closing,” she said. St. Peter’s, which has for years been the lone Catholic school in all of Sullivan County, would close at the end of academic school year, leaving parents with a feeling a sense of abject uncertainty. Where would they send their children when the school locked its doors for good? Sullivan County once had six Catholic schools. Five closed before 2000. St. Peter’s was the one that had withstood the test of time. It temporarily shut down between 1971 and 1976, when the Archdiocese ran out of operating funds. It reopened as St. Peter’s Regional school in 1977 and as of the 2014–15 academic school year, served grades Pre-K through fifth grade. 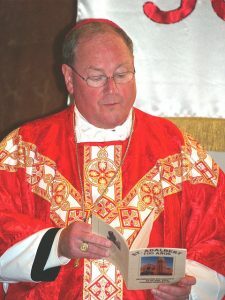 Timothy Dolan is the Archbishop of New York and heads the Archdiocese. Principal Lisa Layman and pastor Father Bill Scafidi declined to be interviewed for this story. From Liberty, Our Lady of Mount Carmel is nearly an hour away and the other schools the Archdiocese listed as alternative options are located in Goshen and Kingston, which are just as far away from Sullivan County with the latter being closer to 90 minutes away. On June 1 the Archdiocese announced the closing of St. Joseph in Kingston, limiting options further. DeCicco-Jones has two children currently enrolled at St. Peter’s. One in kindergarten and one in fourth grade, as well as two other children — the oldest of which is 24 years old — that have graduated from the small parochial school. DeCicco-Jones with her two daughters in front of St. Peter’s Regional Catholic School on Lincoln Place in Liberty, New York. The mother of four immediately sprung into action. In order to preserve Catholic education she puts so much emphasis on, she created a petition on Change.org entitled “Father Dolan and the Archdiocese of New York, Save St. Peter’s School in Liberty, New York,” in an effort to get the Archdiocese to change its mind and keep the school afloat. DeCicco-Jones met with other parents within the community for an emergency Parent Teacher Organization (P.T.O.) 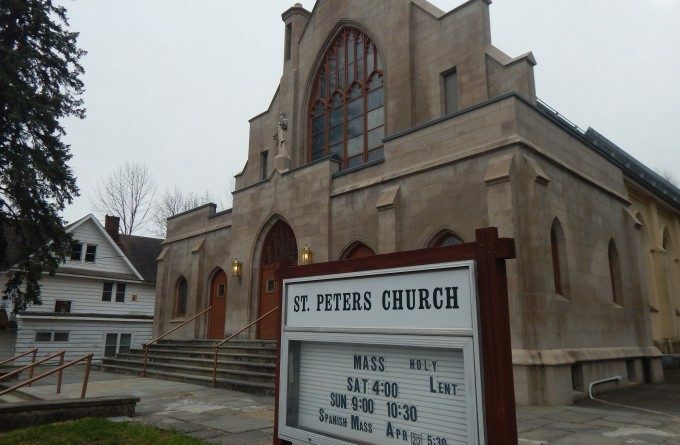 meeting to discuss what measure could be taken to save St. Peter’s. DeCicco-Jones started with creating lawn signs, sending out hand-made flyers to every Catholic and Christian parish in Sullivan County as well as handing them out to over 200 people at the St. Patrick’s Day Parade in Jeffersonville in order to raise awareness for the school’s closure. While the petition has boasted nearly 600 signatures, Victoria Trotti-LaRusso, whose two children have graduated from St. Peter’s, says that while she is extremely sad, she sees the school closing regardless of the efforts. Trotti-LaRusso said that her children received a tremendous education from St. Peter’s. Her son Fredric, who had difficulty reading, is now excelling with the help he received years ago from his first grade teacher. Both Trotti-LaRusso and DeCicco-Jones are concerned about children taking the bus from Liberty all the way to Middletown five days a week. DeCicco-Jones added that she would sooner home school her children or relocate altogether to an area where there was a Catholic school than send her children to a public school. DeCicco-Jones lives two blocks away from St. Peter’s. 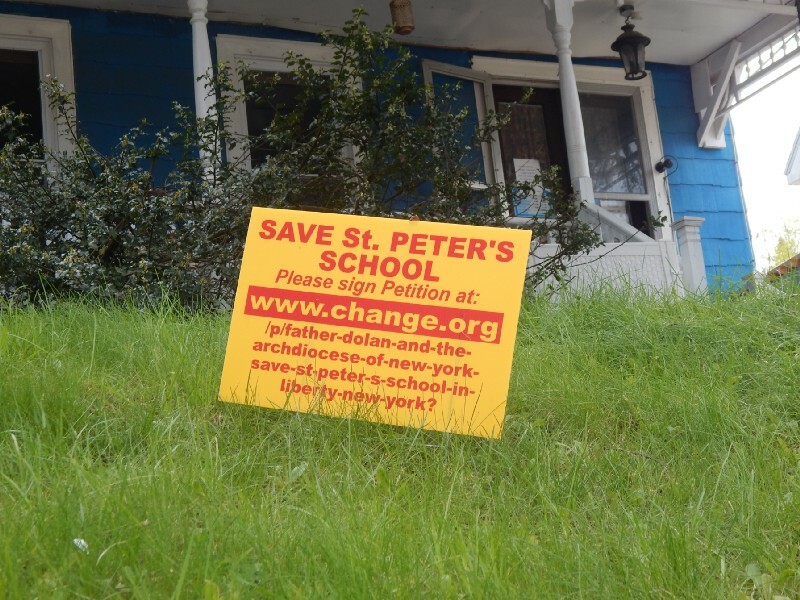 One of her “Save St. Peter’s” signs is planted on the front lawn. She juggles her efforts to keep St. Peter’s open with work, her 10-year-old’s upcoming birthday, and her backyard menagerie. Several of her chickens are sick, and a pet goat recently died. Her phone rings. She picks up and jokes around with a client. She stands next to the plaque hung in her entryway with a crucifix and a prayer printed on it. When DeCicco-Jones hangs up, she opines that no Catholic school in a region means that there is no foundation and a lack of spiritual growth and knowledge. “Where there is no God in somewhere like Liberty, the crime and drug rate is likely to increase,” DeCicco-Jones said. 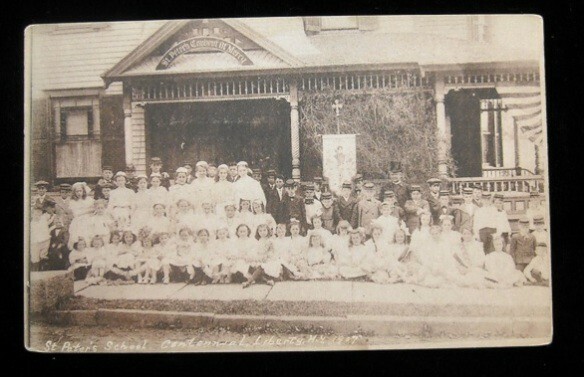 A photograph of St. Peter’s School from 1907. (Courtesy of the school’s website). According to NeighborhoodScout.com, an analytics website launched by geographer Andrew Schiller 15 years ago, found that Liberty’s crime index ranked six out of 100, meaning the town is only safer than six percent of the country. Annually, Liberty is the site of 208 crimes with 50.31 for every 1,000 residents. In Liberty, one in every 143 people are subject to being the victim of a violent crime, in comparison to the Big Apple’s 1:263 ratio. Nicole Garnett, a professor at the Law School of the University of Notre Dame, is the author of “Lost Classroom, Lost Community: Catholic Schools’ Importance in Urban America,” a book that explores the impact of the closing of Catholic schools. After doing immersive research for where crimes were committed in Chicago and Philadelphia compared with where Catholic schools are located, Garnett concluded that school closings effected the crime rate in urban areas she studied. In the last 20 years, the numbers of Catholic schools in the United States has decreased to 6,594- a 20 percent decrease- according to Garnett’s book. 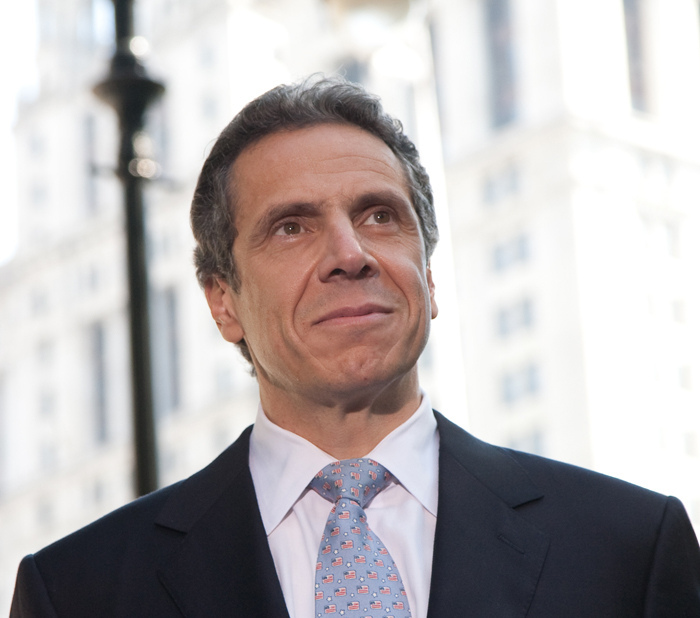 New York state had over 270 Catholic schools in 2011. Now, there are fewer than 150. The Archdiocese attributes this to the school’s being economically unsustainable. In 2017, in addition to St. Peter’s, the Archdiocese of New York is closing five other schools in the state, all in New York City. In their extensive press release from 2010 entitled Pathways to Excellence, the Archdiocese made public a comprehensive three-year plan to make Catholic schools stronger. A reconfiguration steering committee, comprised of pastors, principals and lay representatives, will assess the viability of individual schools and recommend immediate steps to reduce archdiocesan and parish subsidies. 2. Examine each school holistically, considering factors such as academic success, enrollment trends, financial health and facility conditions. 3. Identify at-risk schools and engage these school communities in a collaborative process of creating and reviewing alternative proposals to closure or merger. The following year, in 2011, the Archdiocese shut down 26 schools within New York State. 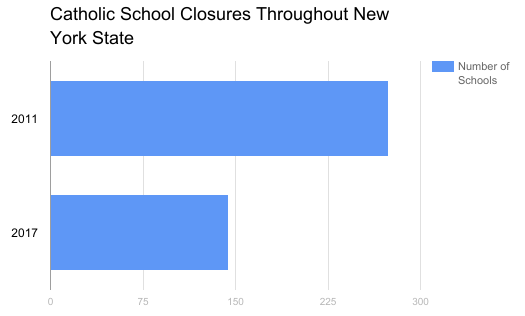 Nick Iacono, the director of communications at the Archdiocese of New York, said that declining enrollment in recent years as well as the transitioning of St. Peter’s from a pre-k through eighth grade school to pre-k through fourth grade was a big decision in closing the school. DeCicco-Jones says that she has looked into keeping St. Peter’s open independently from the Archdiocese of New York, but the Archdiocese owns the property. In response to an email DeCicco-Jones sent to the Archdiocese in February, Daniel Murphy from the office of the Superintendent of Schools said that the building would be unavailable after the school closed. Searching for solace in what felt like a helpless situation, DeCicco-Jones reached out to the Archdiocese. She received a reply from Dr. Timothy McNiff, the Archdiocese’s school superintendent. A lawn sign DeCicco-Jones made including the link to her Change.org petition to keep St. Peter’s School running. Sullivan County Historical Society president Suzanne Cecil says that she completely understands why the school is closing. Iacono said a regional school structure they are aiming for will keep Catholic education strong in New York State. Liberty town historian William Cogswell said that high taxes are leading to parents not sending their children to Catholic school, especially in Liberty. “It’s the reason why people aren’t sending their children to Catholic school here anymore. The taxes are a big issue,” Cogswell said. The median income in Sullivan County according to Point2Homes.com for ages 25–44 is just above $47 thousand while ages 45–64 average just about $58 thousand annually, 64 percent of which are white collar employees. According to the National Catholic Education Association, Catholic school tuition has catapulted 69 percent since 2003 in a report done four years ago, with an average of almost $4 thousand dollars for Catholic elementary schools annually. St. Peter’s has seen the effect of families choosing alternate means of education that stray away from Catholic school in recent years, as the school has downsized significantly since the turn of the century. For people like Monique DeCicco-Jones, the upcoming decision is a tough one. Do you send your children to another Catholic school that is nearly an hour away and have to worry about them traveling in it that manor five days a week? Do you resort to learning common core and homeschooling your children? Do you make the leap to public school? The mother has two master’s degrees and a PhD and has seriously considered teaching her children out of her home. Despite the Archdiocese planning out busing routes to Catholic schools close to Liberty so that parents can continue sending their children through parochial education, DeCicco-Jones says that she still hasn’t enrolled her children in a school for September. She is considering homeschooling. Hundreds of the lawn signs she gave to local residents last winter have been torn down. Hers is still on the lawn of what she calls her “dream house,” purchased over 20 years ago when she was in her early 20s as an LPN. However, DeCicco-Jones wouldn’t hesitate to sell it if that means her soon-to-be first and fifth graders can continue to have God in their lives at school. And for DeCicco-Jones, that might be the only option left as the end of the school year approaches with every coming day. On May 13, it was announced by the Archdiocese in a press release that St. Peter’s would remain open, serving pre-k and kindergarten exclusively, meaning parents who wish to give their children a Catholic education beyond those grades are still without many options. “After careful consideration, and in light of the persistent demand for Pre-K — Kindergarten education in the area, the Office of the Superintendent is pleased to announce that we have formulated a plan to maintain St. Peter’s Regional as an early childhood center. Our office will work with existing and prospective families to shepherd them through this transition, and will continue to provide guidance for our 1st — 4th grade families as they transition to Our Lady of Mt. 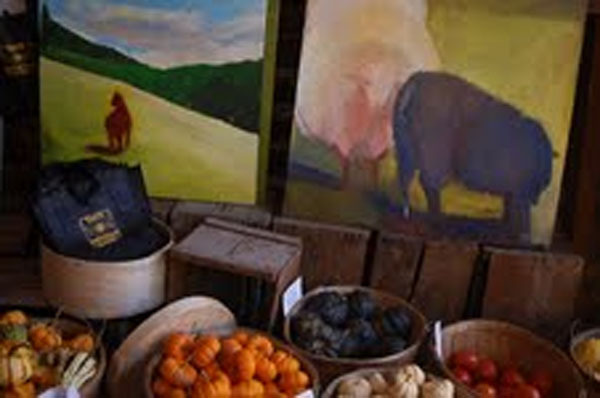 Carmel and other local schools,” he said. DeCicco-Jones said while this is a victory of sorts and that she is happy it will remain open, it won’t help her out for the new academic school year. DeCicco-Jones said that if this is the case, she will send her daughters to Mt. Carmel School in Middletown for a year and continue pressuring the Archdiocese and offer them her services in helping them form a new and improved school.